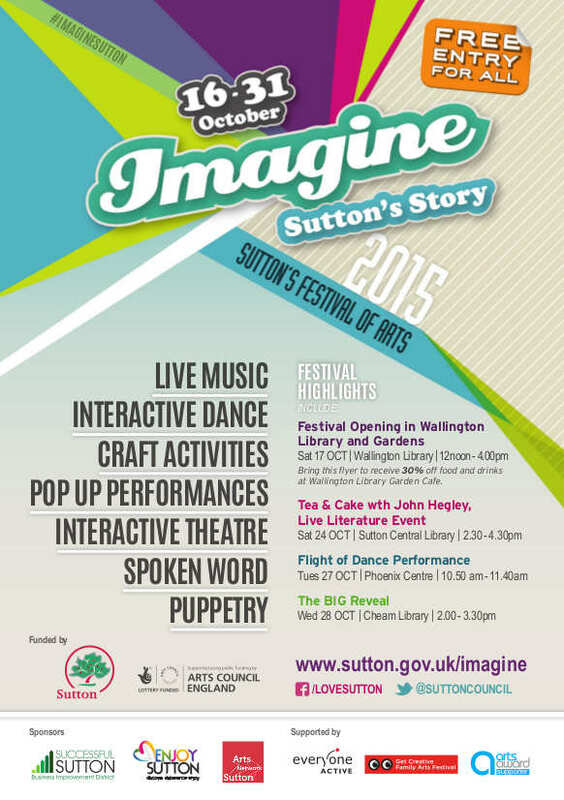 John Hegley hosts this inter-generational poetry event bringing together re-imagined stories of Sutton. Robin Vaughan-Williams has been working with the residents of two care homes in Wallington to create poems about their lives, from hissing gas lamps and clunking meters to lavender fields and wailing sirens, and Rachel Sambrooks has been working with younger generations (adults and teenagers) on their response to these poems and the place they live in. There’ll be video poems, group poems, individual readings, comic verse from John Hegley, and of course tea and cakes. The event is free and open to all ages, but booking is essential as tickets are being snapped up. Book your place via EventBrite.